If books leave our universe a la the vision of Ray Bradbury’s Fahrenheit 451, then all the back streets around Paris' famous Boulevard St Michel, filled with antique bookstores, as they now are, will become a scene of desolation like downtown Detroit. 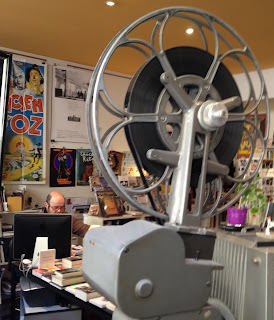 Cine Reflet, “La librairie du Cinema” 14, rue Monsieur-le- Prince 75006 Paris (Metro: Odeon) is one of the treasures that would be lost, if Truffaut’s filmic version of the sci fi classic--really an allegory about totalitarianism--ever comes to pass. Books are still being burned and censorship continues to be widely prevalent. Salman Rushdie's The Satanic Verses is banned in his native India; a controversy recently broke out when Hari Kunzru and other writers read sections from the novel at the Jaipur Literature Festival. But for the most part technology has replaced totalitarianism as the biggest threat to the printed word--though one wonders what piece of modern technology could replace a Cine Reflet? On a recent night the bookstore hosted a talk with Vincent Nordon, the author of Straub/Huillet, non merci—la plaint d’un ami. Nordon, besides being a director and writer in his own right was assistant to such greats as Pialat, Godard and Duras. 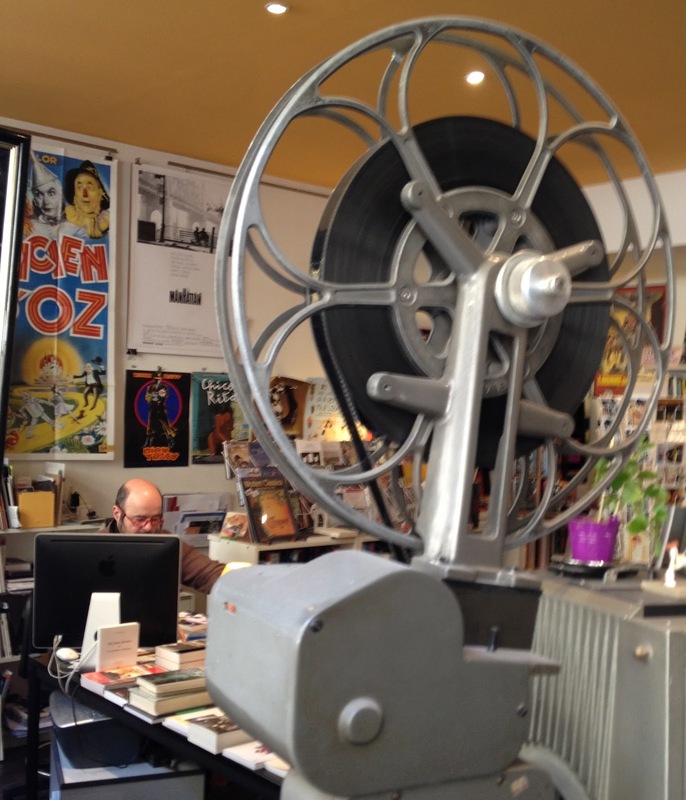 An ancient 35mm projector stands smack in the middle of the store amidst volumes of works like Michael Powell, A Life in Movies and Le Cinema d’Abbas Kiarostami along with a poster for L’Inconsolable, film de Jean-Marie Straub, d’apres Maurice Barres, Cesare Pavese and Franz Kafka. You won’t find either Nordon or a store whose name itself suggests reflection, on your Kindle. Paris Journal IV: Why is French so French?